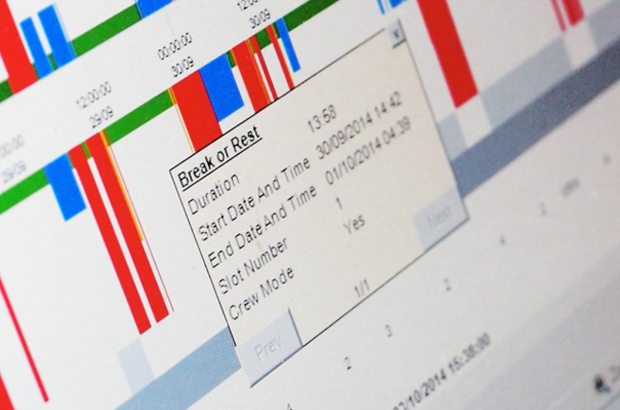 When drivers are away from base for extended periods of time, it’s essential for operators to keep a track of their drivers’ activity. A recent case before the Traffic Commissioner shows how the consequences of failing to monitor and record a driver’s working hours can have a dramatic impact on an operator’s business, as well as the driver’s livelihood. Using another driver’s card to falsify a tachograph record is a serious offence. This kind of conduct undermines the principles of the drivers’ hours and tachograph rules. The rules exist so that employers and enforcement bodies, like the DVSA and the police, can check the genuine record of a person’s driving, other work and rest periods. These checks identify whether a driver has been driving or working excessively and if they’ve been driving while tired. Drivers and operators who break the rules compete unfairly against compliant operators and create a significant risk to road safety. At a public inquiry and driver conduct hearing earlier this year, Traffic Commissioner Nick Denton heard about a driver who had committed a total of 84 drivers’ hours and tachograph offences. This included 28 false records which were made using another driver’s card. A DVSA investigation showed the driver had regularly been working between 70 and 80 hours a week. On some occasions, it even went beyond that – in one instance, he worked for 94 hours. The Traffic Commissioner said the driver had deliberately and knowingly used another driver’s card to falsify records and disguise “grossly excessive driving and working hours”. The driver’s offences had been motivated by financial reward and Mr Denton disqualified the driver from professional driving for 12 months and revoked his vocational licence. There were consequences for his employer too. The transport manager and the company had been aware the driver was a ‘high risk’ because of the length of time he spent away from base. The company also knew that the driver’s circumstances meant that he desperately needed extra money. The driver had been submitting timesheets for 80-90 hours per week and was paid for this. Yet the company had no systems in place to properly monitor driving and working time. The company also failed to carry out the legally required downloads from the vehicle unit. This would have revealed the use of the other driver’s card – a driver who was completely unknown to the operator. 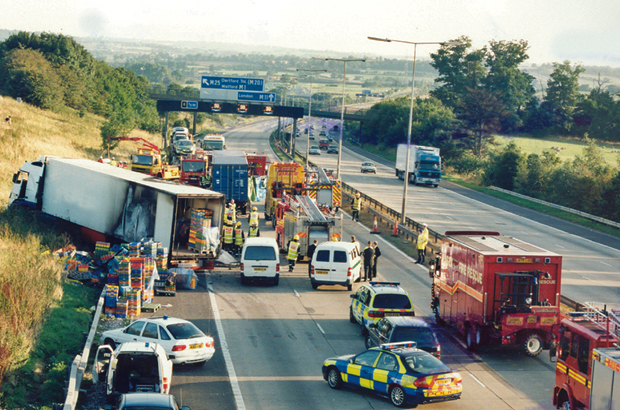 An accident in 2002 caused by a driver who exceeded his hours. 4 people were killed and the driver was jailed for 5 years. The Traffic Commissioner criticised the company and its transport manager, saying that their serious negligence had allowed the driver to work excessive hours. Their actions had jeopardised road safety and given them a competitive advantage over other operators for an extended period of time. The company’s licence was suspended for 2 weeks and the transport manager was disqualified. In future, if the transport manager wishes to apply to regain their repute, they will have to retake the Transport Manager Certificate of Professional Competence (CPC) examination. Failing to uphold the basic standards around drivers’ hours and tachograph compliance affected the operator, transport manager and driver. The Traffic Commissioner’s decisions placed restrictions on their ability to operate in the industry. As a compliant operator, transport manager or driver, you’ll know the value of staying on track with your drivers’ hours. For more information, see the drivers’ hours advice and guidance on GOV.UK. Road Safety Research Report no. 52 was compiled by the Sleep Research Centre at Loughborough University and commissioned by the Department for Transport.